Bobbi Carducci uses her art as a writer to reflect on the seven years she spent as a caregiver. Carducci’s book, Confessions of an Imperfect Caregiver, details her relationship with Roger, her father-in-law who suffered from dementia and schizophrenia. Through medical assistant courses and Italian lessons (Rogers’ native tongue) Carducci worked to create a safe and sufficient environment. Though Carducci’s experience is specific, her feelings of loneliness are not. She expresses the guilt and sacrifice felt by caregivers around the world. 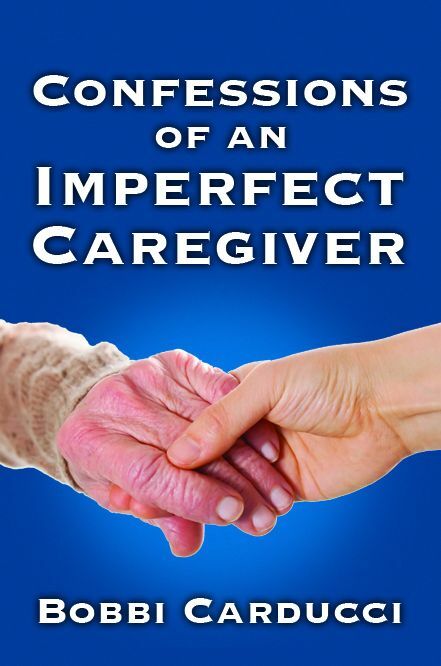 Carducci’s book works to break the walls of isolation felt by caregivers. Her experience will resonate with readers working through this unique task. Caregivers often know what they're supposed to do—get enough rest, take time for yourself—but they often don't have the time or resources to do so. Friends and family members should, rather than simply tell them what to do, help them to do so. For instance, a friend might offer to take over caregiving to allow the caregiver to take a nap or go to the gym. And caregivers should be bold enough to ask for help when they need it. Caregiving can be a challenging and amazing experience. Confessions of an Imperfect Caregiver gives tips, advice, comfort, and solace to readers, and caregivers. Confessions of an Imperfect Caregiver (284 pgs., $15.95 print, $2.99 eBook) is published by Open Book Press (http://www.openbookspress.com/books/confessions-of-an-imp...). For more information or to purchase a book, you may contact Bobbi via email bcarducci@comcast.net or via her website http://www.bobbicarducci.com. The full interview by Dave Nassaney can be listened to at http://www.blogtalkradio.com/davenassaney/2015/07/08/are-you-an-imperfect-caregiver-too-you-are-not-alone-bobbi-carducci-interview.